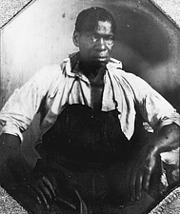 Image: Isaac Jefferson, slave once owned by Thomas Jefferson, daguerreotype, ca. 1840. Reproduced by permission of the University of Virginia Library.